It will make you a flared gorgeous when you wear it. Please check the measurement chart carefully before you buy the item. There is 2-3% difference according to manual measurement. WARRANTY : To Ensure Your Order Our Size Chart is Provided on the Product Description. We Promise Lifetime Warranty. Exchange, return, whatever it takes. 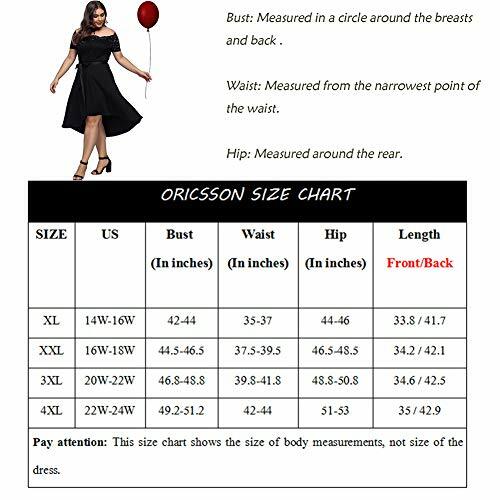 To ensure the quality, please pay attention that this item only fulfilled by Amazon and seller “ORICSSON”.Features: Waved neckline, high-low hemline spliced lace up, off shoulder design, short lace sleeves, side zipper, detachable belt. Material: 100%Polyester. The material is somewhat stretchy. US Size: XL(US 14W-16W), XXL(US 16W-18W), 3XL(US 20W-22W), 4XL(US 22W-24W). Dress Up: Pair it with some light silver stones jewellery and heels Earns a lot of compliments, for sure! 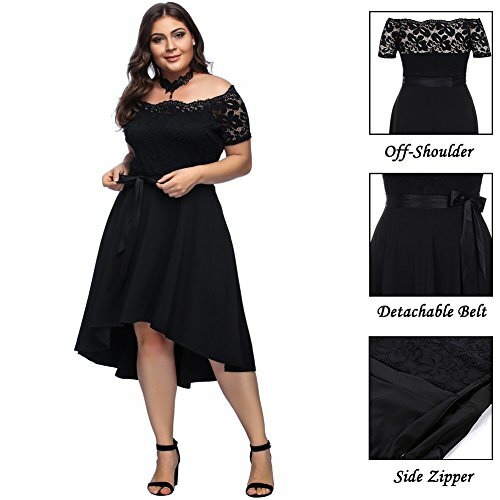 Occasion: Cocktail or dinner party, Wedding, Prom,Homecoming dress. 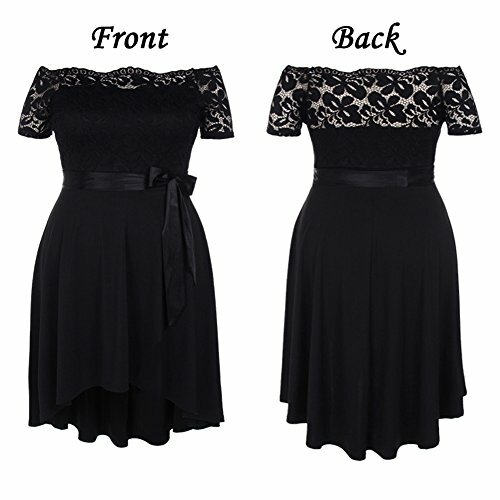 This all-year elegant dress can easily be accessorized to match any formal occasion.